Where? Visitors to the NMA will be able to take part in fun challenges and activities that will pit them against some exciting elasmobranchs! Who? This special holiday theme is suitable for all! Everyone knows how amazing sharks are, but their closely related cousins Rays don’t always share the limelight. Until now! 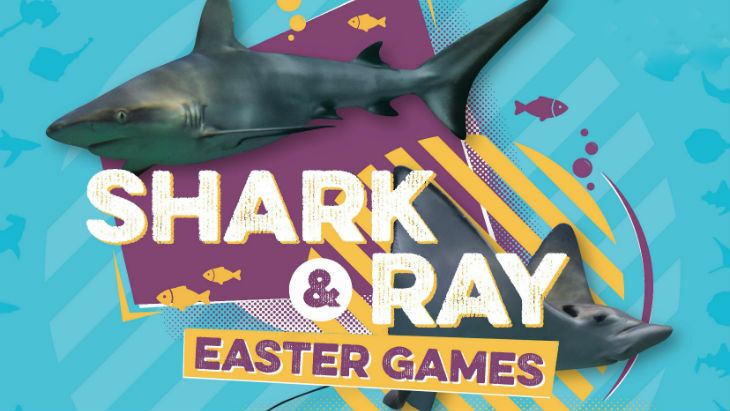 Our ‘Shark and Ray Easter Games’ which will showcase both shark-tastic sharks and ray-ly cool rays! You’ll find out facts about these ocean animals that will blow your mind! Not only that, but you’ll be able to meet our very own famous shark and rays including ‘Howie’ one of our massive Sand Tiger Sharks and ‘Kitts,’ a huge Spotted Eagle Ray who lives in our Atlantic Ocean Exhibit. Sharks lose and replace their teeth constantly throughout their life. Some can get through 30,000 teeth in their lifetime! Not all sharks are toothy predators, however. The world’s largest fish, the Whale Shark, primarily eats small plankton or fish as an active filter feeder. Another graceful filter feeder is the Manta Ray, the world’s largest ray, which can reach 7 metres across. The world’s oldest shark is the Greenland shark, which has been found to reach 400 years old! Greenland sharks also live in the deep ocean – around 1,200 metres down. The Chilean Devil Ray, however, has been found diving to depths of 1,800 metres, probably in search of food. 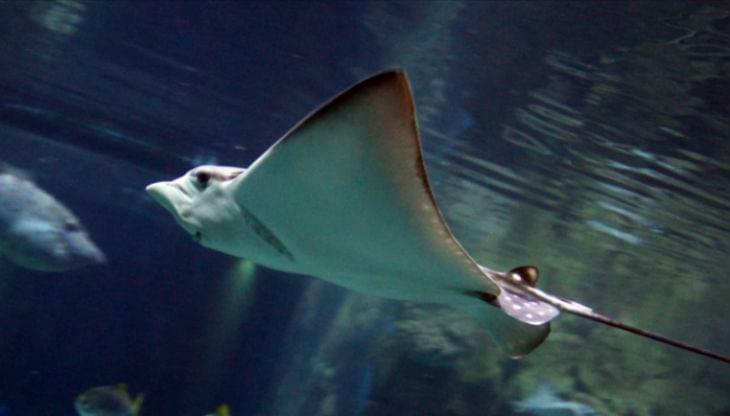 Both sharks and rays are cartilaginous fishes, which means they don’t have a bony skeleton like fish do. This light, cartilaginous skeleton allows them to be faster swimmers. Don’t forget all of our day tickets come with a free year pass. Head to our tickets and types page for more details here.